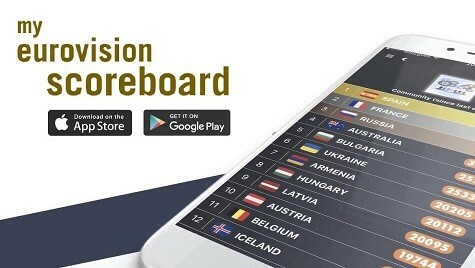 Last week they unveiled their hilarious Eurovision Look-alike app, which is helping you guys find your ESC doppelganger. And today MyHeritage — the Presenting Partner of Eurovision 2019 — continues the fun with the announcement of the Eurovision bus tour. They’re putting in the miles to bring song contest fun to fans in 13 cities. We’ve read the details and seen the plans and can promise you this: This bus is going to rock! This coach won’t be filled with irritated passengers fighting for leg room and storage space for their suitcases. No, no, no. It’s going to overflow with fabulosity. Eurovision stars — past and present — will be hitching a ride and snapping pics. And wiwibloggers will be stopping by several locations to spill the tea and share some behind-the-scenes goss we’ve heard at the pre-parties. Be sure to say hello to Deban, Bernardo, Kevin, Jordi, me and others. Here’s what MyHeritage has to say about the other on-board activities. Departing from the UK on 5 April, the bus will snake through 13 cities: Amsterdam, Hamburg, Copenhagen, Oslo, Stockholm, Berlin, Cologne, Paris, London, Geneva, Barcelona, Madrid and Lisbon. The stops in Amsterdam, London and Madrid will coincide with Eurovision in Concert, the London Eurovision Party and Eurovision Spain Pre-Party. The bus will be parked outside of the concert venue and will no doubt become a major talking point among guests. Beep beep! Will we be seeing you on board? Which stars do you want to see on the bus? And please: let us know your favourite Eurovision karaoke tracks so we can start practicing! Hello Europe ! I think this year Romania will win Eurovision 2019 because their song On a Sunday is so unique and powerfull and if we choose right i hope next year Eurovision 2020 will be in Bucharest. Please Europe vote Romania 2020 and have fun with On a Sunday with Ester Peony the most sexxy girl in Eurovision ! 12 Points from Europe to Romania 2020 ! Forzza Bucharest 2020 we loves Dracula country and Transilvania mythology ? If this is not an April’s Fool joke ,someone has to explain them that Europe isn’t only the northwest! It’s not! eurovision.tv reported it today too! Well it is more convenient for them to do northwest Europe although having 2 cities in Spain is too much. They could have done one in Poland after Berlin. So they are touring around countries that basically don’t care about Eurovision. Not even a single East European city is listed. We Scandies care about Eurovision! Agree it’s weird they’re not going to Eastern Europe though.